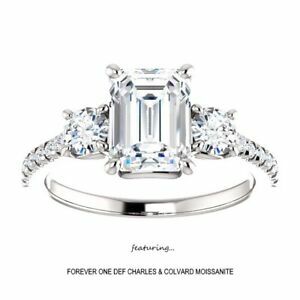 (Charles & Colvard) 3.00 Carat Emerald Cut Moissanite Forever One Ring 14K Gold. 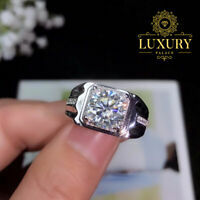 Charles&Colvard 1.25 Carat Forever One Emerald Cut Moissanite Ring in 14K Gold. *$74 for 24 months. Minimum purchase required.